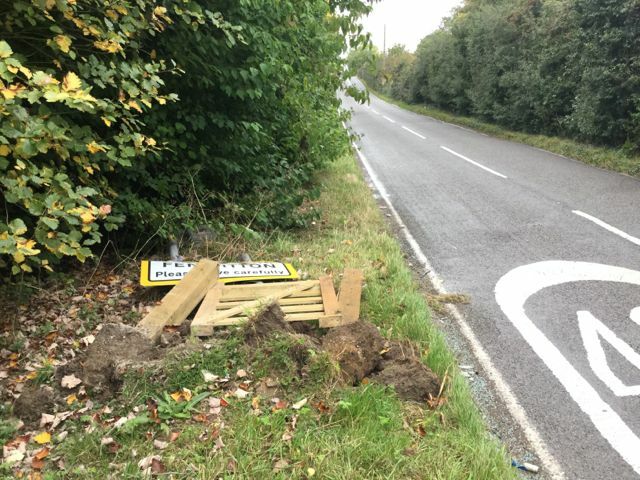 The new Fen Ditton village and speed limit sign on High Ditch Road was demolished in an accident in the early hours of 5th October. Only one vehicle was involved and no injuries were reported. The damage has been reported to the County Council via their website.